Putting all the rumours to rest, finally it is official that India born Satya Nadella is the new CEO of Microsoft, the fourth largest organisation in the world. Recently it was in the news that Satya Nadella was going to replace the current CEO Steve Ballmer to become the first Indian CEO of the organisation and now the news has been confirmed officially. So what makes this Indian genius stand apart that the US software giant had to give this top- most position to an Indian? Let us take a closer look at Satya Nadellaâs life to know what exactly made him tick. Satya Nadella was born in Hyderabad, India to an IAS officer father and went to the Hyderabad Public School in Begumpet. Later on, he went on to attain a degree in Bachelor of Engineering from the famous Manipal Institute of Technology, Karnataka. The quest for knowledge did not stop there and soon Nadella moved to the US. After completing his MS from the Wisconsin- Milwaukee University and then an MBA from the University Of Chicago Booth School Of Business, Nadella started working for the famous Sun Microsystems, before switching to Microsoft in the year 1992. There has been no looking back for this India- born scholar who created a mark for himself in the history of both Microsoft as well as our country. Satya Nadella is currently settled in the Washington state with his wife of 22 years as well as three children. Nadella is all set to take over the post of CEO, following which the current CEO Steve Ballmer will have an early retirement. It is a matter of pride that Nadella was interviewed along with other employees for this post and he emerged as the most suitable choice for leading this company. In Bill Gateâs words, âSatya is a proven leader with hard-core engineering skills, business vision and the ability to bring people together. His vision for how technology will be used and experienced around the world is exactly what Microsoft needsâ. Microsoft was supposed to make the announcement of their new CEO by the end of last year, but due to many prospective names, the search was pushed forward to the beginning of this year. Nadellaâs selection as the CEO of Microsoft has arrived at a time when the company is gearing up for its deal with Nokia as well as its ongoing reorganisation. 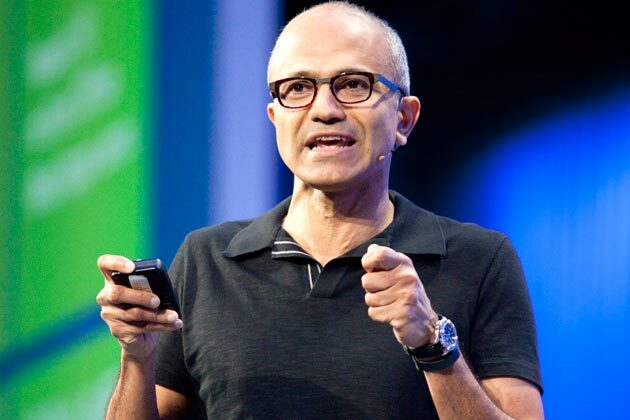 With everyone putting their trust in him as well as Bill Gates himself saying that the software giant is going into safe hands, it is surely a time of joy as well as overwhelm for Satya Nadella. Nadella also has experience in building the Bing search engine under Microsoft.